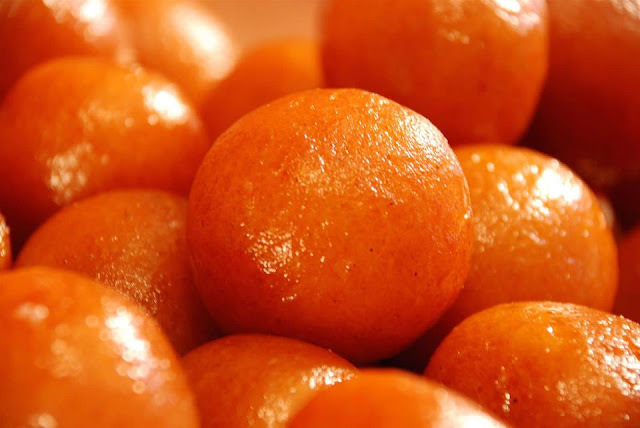 Gulab jamun is a popular cheese-based dessert, similar to a dumpling, popular in countries of the Indian Subcontinent such as India, Pakistan, Sri Lanka, Nepal and Bangladesh. In Nepal it is widely known as Lalmohan, served with or without yogurt, and is a popular dessert on all occasions. It is made mainly from milk solids, traditionally from freshly curdled milk. These milks solids, known as khoya in India, are kneaded into a dough, sometimes with a pinch of flour, and then shaped into small balls and deep fried at a low temperature of about 148°C. The balls are then soaked in a light sugar syrup flavored with green cardamom and rosewater, kewra or saffron. These days, gulab jamun mix is also commercially available. 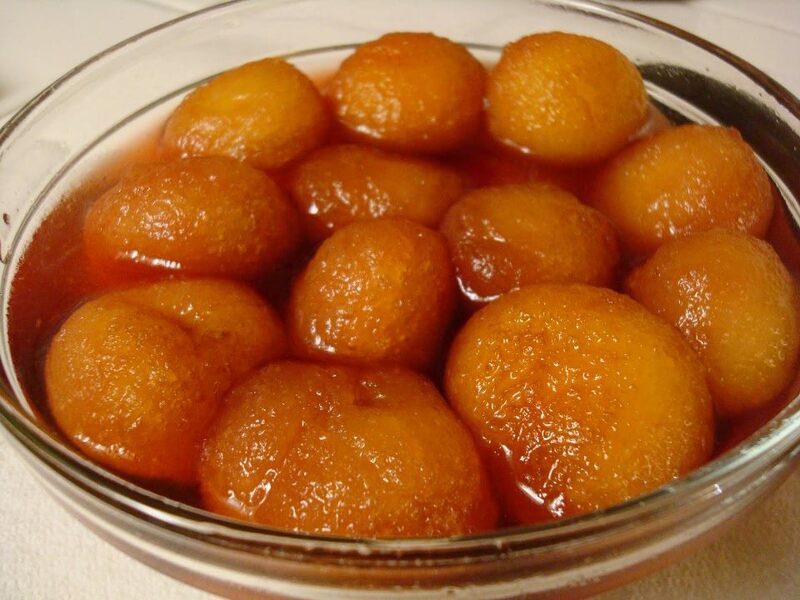 Gulab jamun is often served at weddings and birthday parties. Place the sugar, water and cardamom powder in a small saucepan. Bring to a boil and watch for the sugar to dissolve. Once its dissolved, boil for another minute. Turn off heat and add rose essence and or saffron, if using. Set the syrup aside. Now make the Jamuns. In a mixing bowl, add milk powder or dry milk, baking soda, flour and salt. Mix well. Then add butter and vinegar. Add milk a little at a time and mix till it forms dough. You may not need all of the milk. After resting, the dough will be less sticky, airy and a little firmer. If its too lose, sprinkle a little flour. If its too dry, add a little milk. Knead the dough a few times. Dip your fingers in oil or ghee, divide the dough into 24 even pieces and roll them into balls. Dip your fingers in oil as and when needed to avoid sticking. Heat enough oil to deep fry in a saucepan pan on medium-low heat. Drop a small pinch of the dough in the oil to test the temperature. The dough should sink to the bottom and then slowly rise to the top. If it sits in the bottom of the oil without bubbling, the oil is not hot enough. If the dough rises and browns too quickly, the oil is too hot. Add the jamun balls a few at a time and fry in oil on medium-low heat. Stir and turn the jamuns frequently so they brown evenly. When brown, remove from oil using a slotted spoon and drain on several layers of paper towels. Repeat with all the dough. Let fried jamuns cool. Add the jamuns to the sugar syrup. Stir gently so the jamuns are well coated in syrup. Cover and let the gulab jamuns soak in the syrup for atleast an hour before serving. Gulab jamuns will keep for several days at room temperature.